By buying this product you can collect up to 60 loyalty points. Your cart will total 60 loyalty points that can be converted into a voucher of 18,00 €. The Wood Chips house : the first factory in France specialised in wood chips for horse bedding. Wood chips are 100% natural. Produced by slicing block of wood, the quality is unrivalled. 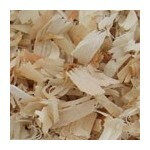 ROYALBOX, large wood chips, has been designed to answer to clients’ needs. ROYALBOX is a performant horse bedding. 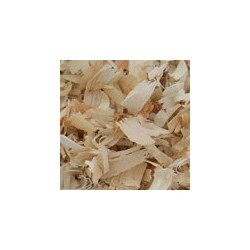 This wood chips house, equipped with the latest technologies, assure fast supply ! - ROYALBOX, large wood chips can be used in riding rings. - ROYALBOX offers : Comfort, Volume, Absorption. How do you use ROYALBOX ? STEP 1 : For a 9 to 12m² box, spread 3 to 5 bales of ROYALBOX evenly across the floor. This bedding is not meant for animal consumption: for horses who tend to eat their bedding, water it with a dilute vinegar or disinfectant solution. You should make up the bulk of the animal feed with hay. STEP 3 : Once per week, remove the dirtiest bedding and add one to two bales of ROYALBOX according to the horses, how fresh you wish the box to be and the size of the box.